ernational Education Week is an opportunity to celebrate worldwide the benefits of international education and exchange. This joint initiative between U.S. Department of State and the U.S. Department of Education functions to promote programs that prepare Americans for a global environment and attract future leaders from abroad to study, learn, and exchange experiences in the United States. We encourage the participation of all individuals and institutions interested in international education and exchange activities, including schools, colleges and universities, embassies, international organizations, businesses, associations, and community organizations. The University of Louisville celebrates the contribution of non-immigrant students and scholars to diversity and international education by facilitating special events during this time. 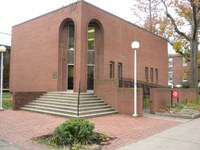 Additionally, the International Center at the University of Louisville hosts numerous events throughout the week. A joint initiative of the U.S. Departments of State and Education, International Education Week (IEW) was first held in 2000 and today, is celebrated in more than 100 countries worldwide. IEW is an opportunity to celebrate the benefits of international education and exchange worldwide. This annual initiative aims to promote international understanding and build support for international educational exchange by encouraging the development of programs that prepare Americans to live and work in a global environment and attract future leaders from abroad to study in the United States. Exchanges are critical to developing mutual understanding and respect, building leadership abroad, fostering an appreciation for the U.S., and investing in the future relationship between Americans and people around the world. The more than 40,000 students, scholars and other exchange participants that the Department of State's Bureau of Educational and Cultural Affairs supports are in the vanguard of the hundreds of thousands of students and scholars who come to the United States and study abroad each year. International cooperation on education contributes to education reform and education solutions for the U.S. and for our partner nations.